We've provided many of our most requested resources below for your convenience. Be sure to contact us if you need assistance finding something in particular. with a tradition of quality service and a friendly staff. Our optometrists, Drs. Jeffrey and William Wigton, Dr. Christina Thrash, Dr. Jeffrey Dreier, and Dr. Jessica Rossman, take great pride in offering every patient the best in vision care—whether through “prescribing” contacts, diagnosing and treating eye diseases, using specialty contact lenses to treat complex corneal diseases, coordinating eye surgery, or prescribing low vision aids or vision rehabilitation. 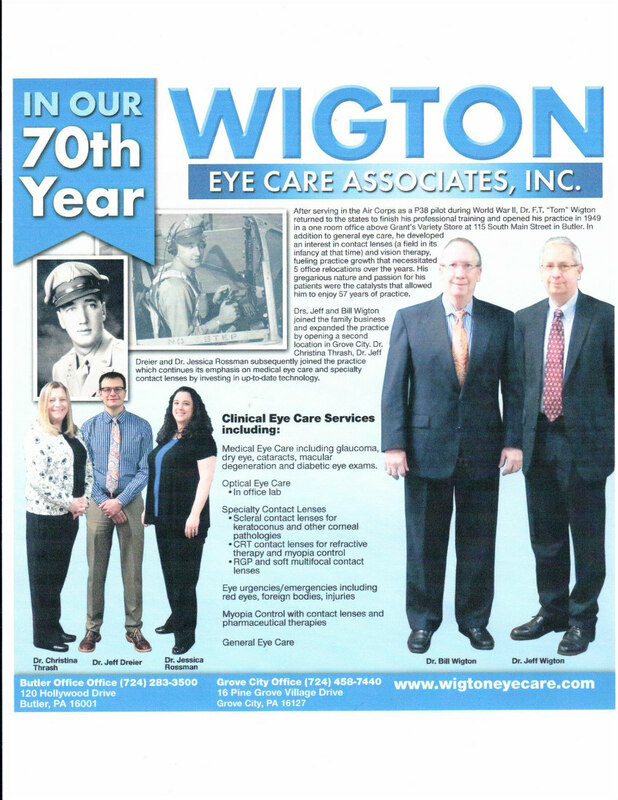 We look forward to serving your family’s eye care needs at either of our 2 convenient office locations. If you have any difficulty accessing any information on this website, please call (724) 283-3500 and speak with our Practice Administrator. If you are unable to keep your appointment, please kindly give us a 24 hour notice.